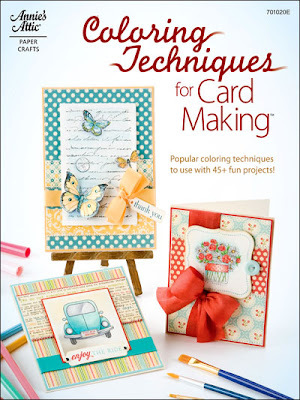 ChristineCreations: Coloring Techniques for Cardmaking...Book Celebration Hop! 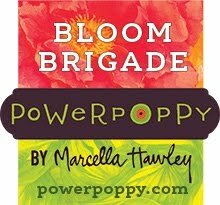 Coloring Techniques for Cardmaking...Book Celebration Hop! Oh my goodness, I have been waiting for this day for so many months! I've had a delicious secret that I've had to hold on to for what seems like forever! A number of months ago I was asked to contribute to a new BOOK that has just been released today! It's theme is so close to my heart because it is what makes cardmaking and paper crafting for me...coloring techniques. In the book you will find a phenomenal sampling of stunning cards created by some of the best colorists in the industry, you will be amazed. And can you believe it?! I'm in there too! It's called Coloring Techniques for Cardmaking published by Annie's Attic. It is such a gorgeous book! So.....Welcome to the Coloring Techniques for Card Making Blog Hop! Today we wanted to introduce you to this brand new, must-have book that has been written to help shed some light on some of the hottest trends in coloring techniques in paper crafting today. It has been an absolute delight to be a part of this project, and the excitement from the team, editors and publishers over this project has really touched my heart. We're really proud of this book. And I think you will love it. Coloring Techniques for Card Making features three of the most popular coloring techniques in card making today--water coloring, colored pencils and using alcohol-based ink markers. Each chapter showcases one particular technique and includes an introductions that will help you choose the products that are right for you, and will walk you through the steps to creating one of our featured projects. 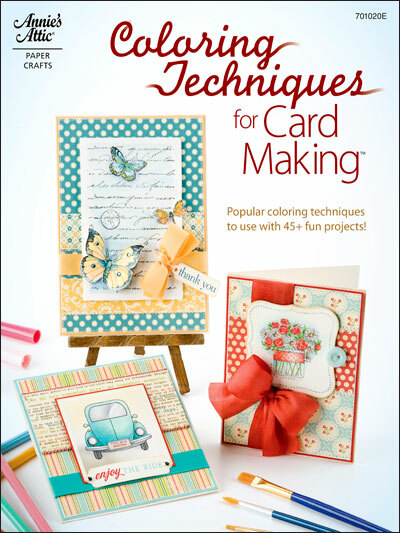 Easy-to-follow instructions, detailed materials lists and helpful coloring tips will make it easy for you to achieve stunning card-making results. As a bonus, enjoy a chapter that focuses on ways to highlight and accentuate your projects with products such as glitter and gel pens, shading techniques and methods for creating the look of texture with color. Today I get to share with you a sneak peek of one of my projects in the book! I'm really happy with how it turned out. This Stargazer Lily card is in the Watercoloring section of the book :) Didn't they photograph it beautifully?? Stamps are from Flourishes Lily of Hope and Tag Lines. We are pleased that you have joined us for the hop! Be sure to leave a comment at each blog along the way to be entered for your chance to win a free copy of Coloring Techniques for Card Making! Star studded isn't it? I'm still pinching myself! I know you will really enjoy the hop so have fun! And be sure to check out my Flourishes Design Team sisters today for their Flourishes Friday creations! Julie Koerber, Stacy Morgan, Cindy Lawrence, Danielle Kennedy, Dawn Burnworth, and Leslie Miller is the Friday Focus on the Flourishes Blog too! Your coloring of those flowers is perfection! Woohoo, Christine... YES!! we can finally blurt it out! Awesome my friend! You know I've been a fan of yours for a loooong time!! Congrats gf!! Fabulous, just fabulous! I actually have that book on my Amazon Wish List ... had no idea so many of my "friends" would have work featured ... woot woot. Wow--love love love the colors on this card!!! This is a beautiful card... awesome work! This book looks like a definite must-have... thanks for the chance to win it! I can't wait to see it in person. Wow - those flowers are stunning! I can't wait to see more of this book. Geez, Christine! Can you believe we've been included in this?? It's such an honor and I'm thrilled that we got to do this together!!! Loved every one of your cards! Beautiful coloring! Love how it all turned out. The flowers are so pretty, almost a 3d quality to them. Thanks for sharing. Wow that's a total stunner....the flowers are superb. This is stunning... gorgeous tones and photography. Love how this book has more than one technique too. So proud of you! Congratulations on being published. Christine, this simply takes my breath away!! Simply gorgeous!! Congratulations!! Fabulous card! So pretty - Congratulations! This project is so BEAUTIFUL! Thanks for all your hard work and for taking part in the hop today! Beautiful card and amazing coloring! The flowers are amazing. Your coloring is perfection! Gorgeous card! This book looks like a valuable resource! Simply stunning! I love the whole thing. Congrats for the publish and for providing lots of inspiration. This is stunning. Love the color combo and your coloring is beautiful. I'm really enjoying all the creative and inspiring MOJO on this hop. Beautiful card. What a tough secret to keep. So happy this book was written. Christine, your coloring is breathtakingly beautiful! Congratulations! I love it! I love the colors! Stunning Christine! I love the colouring your chose, but also like the added elements you put on your card, the scored line, the glitter, the paper piercing... beautiful. beautiful watercoloring - whole card is gorgeous. thanks for a chance to win and the inspiration. How gorgeous! Your card is so pretty! Love the colors on the flowers. Such vivid colors. Love your card. This is stunning. Love the colors and coloring. I love this card! Your flowers look so real. The pink is a perfect color. Striking card! What a fantastic prize to be won! Thanks for the chance! Just beautiful Christine. So happy for you. Wow! I learn so much at each stop in the blog hop. You have such amazing coloring and use of white space to highlight your flowers. [note to self: you can leave white space!] Thanks so much for sharing! OH MY GOODNESS!!!! !What beautiful color! And yes they did photograph it at it's best! Thanks for sharing your amazing talent! Christine, this is so exciting! Wow! Congrats! Your card is just beautiful and of course the coloring is fabulous! Such a pretty card... congrats on the book! Beautiful job on your entry... looking forward to seeing all your submissions!! I cant wait to see this book in person!!! Oh, Christine! I'm so excited for you and the others I could burst! Of course, who would be more perfect for the watercoloring section of the book? It looks like a beautiful book, and it's a beautiful card, too. I simply MUST have a copy!!!!! Congratulations on this honor! Your watercoloring is beautiful. Hope the book can teach me!! Congrats on being published.Thanks. Congratulations, Christine! Your coloring is amazing and I am excited for you to see your creations in a book about coloring! Wowsa! Beautiful card! The book is an exciting concept and I can't wait to start learning some of its secrets contained within! Blessings. Vibrant and cheerful, WOW, the coloring is outstanding! All your cards in this book just blow me away. Congrats on being published!! What a wonderful book to be a part of :) You go girl!! This is beautiful Christine.. How exciting.. I love your work.. I really need to try this watercolor business. Great card and congrats on being in the book! Your card is just gorgeous!! Love you beautiful watercoloring. Congratulations on being a contributing artist in this new book. Looks like it will be a must-have! am enjoying the blog hop. thanks for all the eye candy. SOOO cute! Love your coloring! Very pretty in pink!! Great work and congrats! Congrats on being published. your card is beautiful. This is a must have book. Beautiful watercoloring! I would love to learn this technique. Congratulations !! Such a beautiful card, I cannot wait to check out this book. I bought that stamp hoping to learn how to make those lillies into Stargazers. Yours are beautiful and I am planning to follow your design all the way. Congradulations on your accomplishment. What a cheery card. Congratulations on your wonderful contribution to a great book! I so love to color and this book will be a must! Your coloring always inspires me and your card is as gorgeous as always. I love everything I have seen so far. Another stunning card, Christine! I'm loving the way each project shown has been photographed and can't wait to see this book in person! Beautiful job with your coloring of the lilies. Inspiring. It wouldn't have mattered what type of camera they used or what type of light--if any. All of your cards are just incredibly beautiful...and I love when you watercolor. You put so much color into the lilies...this card is so beautiful...from the paper piercing on the top, to the little details in the lilies! Congratulations on such a success! I love your card. Thanks for the chance to win the book! Just gorgeous! Congrats on being selected for this wonderful book. I would love to win a copy of this book. Thank you for the inspiration and chance to win :). Beautiful card. Love that pink and white. Congratulations on bing in the book! Christine, your colored creations have always inspired me, and I am sure you will have so much great instruction in this book!! Wonderful news, congratulations!! Your card is amazingly beautiful, too!! Congratulations!! That is so exciting. Beautiful card too! beautiful stamp and gorgeous coloring. star gazers are my favorite flower. can't wait to see the book. Oh my...this is absolutely STUNNING, Christine!! Congrats on your pub too!! Woo hoo!!! Gorgeous! I can't wait to get my hands on the book. This is a gorgeous card. I love your coloring, the bow, the border accent, the pierced flourish, well, I love it all! Christine, I always LOVE your work, and this is no less...gorgeous! Fabulous colors! The photography is very pretty, but your card is gorgeous. Your colouring is fantastic too! I'm just starting out with Copics, so this book would be fab! Congratulations on being in the mag too! What a beautiful, vibrant card! Your watercolor technique is ecquisite. OMG, your card is fabulous - the flowers pop off the card. I love it.. I love these colors! Great job! Congratulations! The flowers on your card are just beautiful! You did a wonderful job. I'm already a fan of your blog, and this card really takes the cake! The flowers are amazing! What an awesome coloring job! This card is gorgeous and yes they did an excellent job with the photography! Congratulations! The lilies are amazing, Christine!! The books also looks like a must have for the coloring lovers like me :):) Congratulations! Marveluos coloring on those gorgeous lilies. Congrats on the new publication! Yea for you Christine!! Your card is absolutely divine! Congratulations! Nothing like learning from the best!! Such a gorgeous card! I love the depth in the pink lilies. This book looks amazing and is definitely on my wish list! What can I say that has not been said before . Thank you for the inspiration . I loved the pinpricking in top corner , nice touch . I love Stargazer's and yours look totally real! Wonderful job!! Congratulations and no wonder! Look at that stunning card! Look at the exquisite coloring! Just lovely... I need this book - as I have purchased colored pencils and alcohol ink markers, but don't have a clue what I'm doing with them! Thank you for the opportunity! Oh I love star gazer lilies! Beautifully done!!! So pretty! Thanks for the chance to win the book. Very pretty card! Can't wait to see this new book!! What a stunning card. Your lilies are wonderful. Excelente manejo del color y del diseño. Your coloring is amazing! I so love to color, & would love to own a copy of the book- I can use the tips! Beautiful card. Can't wait for the book to come out. Fabulous watercoloring and beautiful card. God bless! Those lilies look so real. Great job on the coloring. I can't wait to have a peak at that new book! What can I say, it's stunning. Can't wait to see all the techniques and cards in the new book. Wow - those are pretty pink lilies. I would love a chance to win this book. Thank you so much. What a stunning card! This book is definitely a "must have" !! Lovely. Can't wait to see more. Beautiful flowers, beautiful card. Your coloring is amazing. Lovely card and the book looks great too! Your card is just gorgeous - beautiful colouring! Looks like a FABULOUS book! Stargazer lilies are my mother's favorite. And you've done a wonderful job with the coloring here. Absolutely gorgeous. TFS the card and the opportunity. I really love your card. I need to do more water coloring...it's beautiful! Magazine looks fantastic and I can't wait to get one! This is truly stunning! Thanks for sharing; can't wait to see the book. Simply beautiful Christine. thanks for sharing and giving us the opportunity to win this must have book - even if we can't color the inspirational works of art are amazing. Christine your coloring is spectacular. Each time I see your cards, I'm jealous. Thank you for sharing your creativity in this book. Even if I don't win it, I will buy it. Such a great book! Thanks for the chance to win! Congratulatons. What an honor to be chosen! You must be thrilled. Congrats! Beautiful artistry. Card is stunning. That lily is done to perfection!! Gorgeous card! Looks like I'm going to need that book! The flowers look so real on your card,and oh the water coloring is lovely. Beautiful painting of the flowers, love the piercing, and pretty border! Great idea! This will likely make a good read and reference. Beautiful card and flowers! I sure need to win that book!!!!!!!!!!! This book would be an assect to any stampers' stash. Your card is so beautiful! This is a gorgeous card- plus it is one of my favorite flowers! Would love to win this book! Congrats on being published. I love stargazers and your card does them justice. Congrats on the book! Your card is gorgeous. I am such a fan of watercoloring and you did a spectacular job on those beautiful lilies!! How great to have a book for all these techniques. this book sounds amazing for novices like me- would love to win a copy- your lilies are beautiful TFS. Wow, the watercoloring I have seen is outstanding!! Love it! Oh WOW that is gorgeous. Those lilies are stunning! Congratulations! I have to check out this book! A very eye catching card! I love the color. Can't wait to get the book and learn how to do it myself. Thanks! Congrats Christine! I am so thrilled about the book and your place in it. You are so deserving!! beautiful coloring! this book looks like a wonderful resource. thanks for a chance to win. OMG! Those flowers look REAL! I am in awe, truly! The card demonstrates perfectly why you would be in this book! Gorgeous card! Thanks for sharing and a chance at winning. Love it! I am definitely a reader, so much to learn! What a beautiful card and congratulations on book. Gorgeous card! Can't wait to see the rest of the book! I've always loved star gazers. Your project makes them even more so. Love the colors and technique. Your card is simply STUNNING! Thanks for a chance to win this fabulous resource!!! What a beautiful card! I love the bright colors. Beautiful card! I can't wait to get that book now. The pink colors are amazing. Absolutely stunning!! OMG! Congratulations on being part of this amazing hop and the book! Wow! This like a whole new world for me. I didn't think you could get such vivid colors. I want to pick the lilies! Wow what a gorgeous card! The flowers are truly stunning! No surprise that you were included in this body of work - your coloring has always been so lovely! 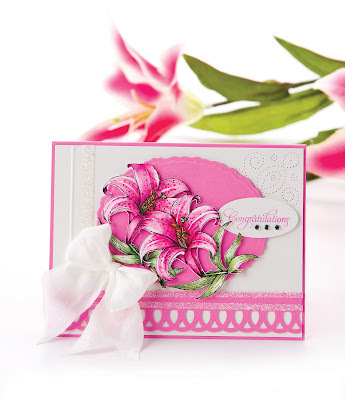 The star gazer lilies in your card are gorgeous! What an absolutely beautiful card!! I can almost smell the fabulous fragrance of these stargazers. Your card is beautiful! Beautiful card. Love your coloring. GORGEOUS card--love it!!! Your coloring is fantastic! Very impressive coloring of the flowers! Thanks for the chance to win. You made them look so real, love the colors, just fabulous!! What a pretty card, can't wait to see the BOOK! Your card is so beautiful with the bright pink and white! No wonder you were published! I love everything used! This book sounds like it could be my new best friend! Oh random generator...pick me, pick me!